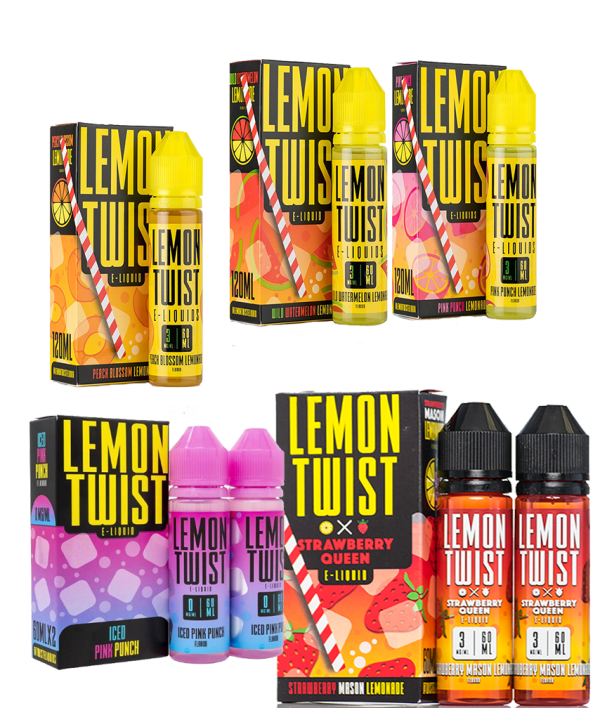 Twist it up with Lemon Twist e-Liquids! 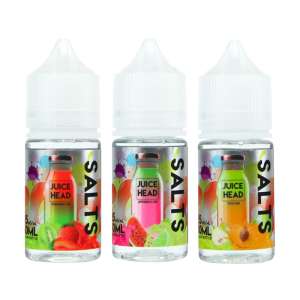 Awesome lemonade based e-Liquids in 2 60mL bottles. 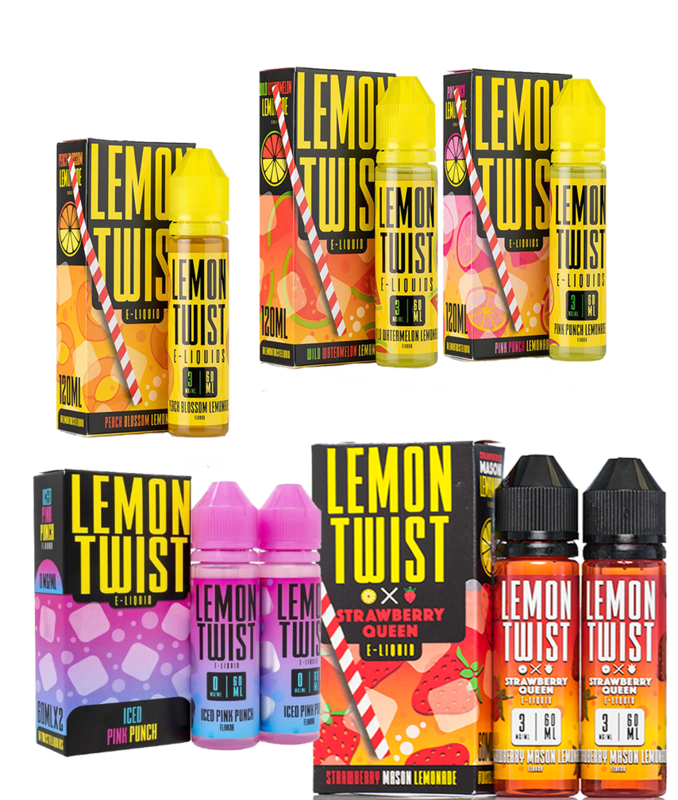 Snag a bottle up today and enjoy a perfect lemonade vape! Wild Watermelon Lemonade – A grotto, cool pool water and a turtle shaped floatie. 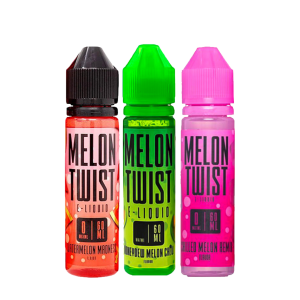 Leave the knives at home, this watermelon lemonade requires no cutting or squeezing, just a vape and a speedo. Pink Punched Lemonade – Freshly squeezed lemons with a tart strawberry syrup. Peach Blossom Lemonade – A refreshing and light take on a delicious combination. Peaches with their creamy flavor combined with sweet citrusy lemonade. 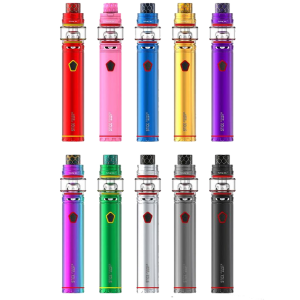 Strawberry Mason Lemonade / Strawberry Crush Lemonade – A deliciously sweet and refreshing mix of strawberries and tart lemonade. Iced Pink Punch – Pink Punch Lemonade just got put on the rocks to keep you cool with a chilling blend of pink lemonade and ice.